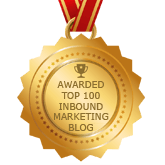 Your website is the virtual front door to your business and an integral part of your inbound marketing strategy. In many cases, it is the first experience people have with your brand. But when someone comes to your website, what type of first impression does it make? Is your site welcoming and professional? Can visitors quickly find what they are looking for? Or does your website turn away prospective customers because it is confusing and doesn’t make your visitor feel as if you understand their needs? Why they are searching for a solution? Your website should introduce your business to the target visitor in a way that relates to them and encourages them to dig deeper into what you have to offer. When scanning your content, the visitor is subconsciously asking “what’s in it for me”? If your website doesn’t answer that question or convince them that you understand their needs, they will look elsewhere. Having a well-developed, professional web presence is a requirement for gaining new customers and establishing credibility. 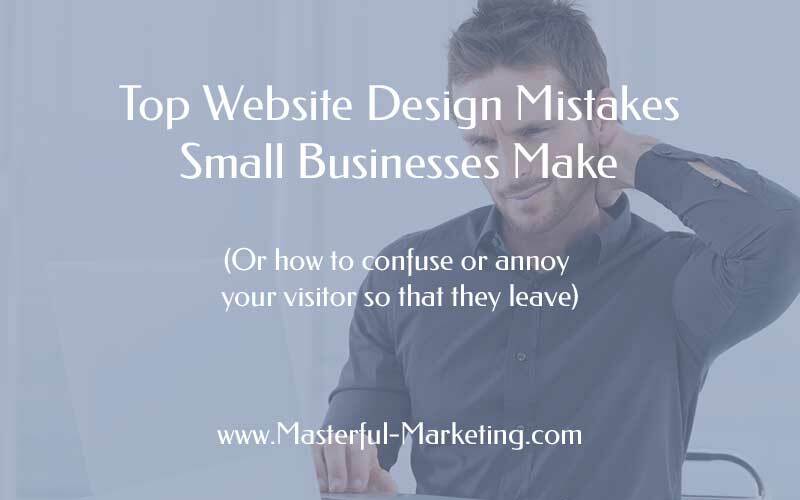 To make your website attract, educate and encourage visitors to learn more, avoid the following website design mistakes that keep your visitors from connecting with your business. People need to quickly figure out what your business is about, what you have to offer and whether your business can help them. A clear headline that speaks to your visitor’s challenges can stop them from hitting the back button and encourage them to find out more. But writing in terms that your target audience understands and associates with is not easy. As business owners, we are often too close to our businesses to objectively view what makes our clients appreciate what we do so the content ends up focusing on your company without relating it to what problem you solve and why you are the best option for them. Tip: If you struggle writing about the problems you solve, have someone interview you about your business, what you do and how you help people. A fresh ear can pick out those nuggets that will help form your most compelling message. Content organization is critical to keeping people on your website. Businesses that have a wealth of content struggle with presenting it in a way that is clear and easy to understand. Remember that people don’t understand your business as well as you do and visitors want access to information quickly without spending unnecessary time searching for it. Organize your content to be clear and educational while demonstrating that you are an expert in your field. Tip: Take inventory of your content and decide what is important to the main body of the website and what could be used as blog posts. Keep the content in your main pages simple, defining your products and services in terms people understand and how it benefits them. Stay away from your industry jargon. Visitors should be able to find what they are looking for quickly. Try to keep your navigation to no more than two levels and use clear text-based links. Keep in mind that most users are searching from a smartphone or tablet and may be shown alternative navigation schemes. When it comes to website navigation, the simpler the better. Tip: Once you have your content organized for your target audience, the navigation should coincide cleanly with the structure. There’s a fine line between too much and too little content on your web pages. Many believe all you just need a couple of messages with images and you are all set. They see Apple and Nike and want to copy their minimalist look. 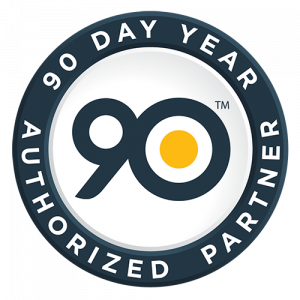 Unfortunately for most small businesses, we’re not instantly recognized so we need content to explain what we do, for whom and what benefits we provide. Otherwise visitors will go elsewhere to find the information they need. On the other hand, a text heavy page makes finding the right information difficult. Many businesses try to cover everything they do on the homepage and end up with clutter. It’s important to present your information in an engaging and simple way to ensure you keep the attention of your visitors. Tip: Work on making your messages clear and concise. People need to land on your website and quickly determine if you are the right solution for them. You can use bullets and headlines to get your message across. For every sentence you write, ask the question “so what?” If there’s no answer or the answer doesn’t add to the value you provide, eliminate it. If you do need a cornerstone page with a lot of content, formatting can be your best friend. People won’t read a wall of text under any circumstances. To capture attention, you need to make your content easy to scan to find the keyword phrases that are of interest. Crowded text, tiny fonts and minimal white space all discourage people from scanning. Tip: Make use of headings and bullets. Write shorter paragraphs. Use interesting, legible fonts that are easy to read. Bold important content to draw the eye. Font size for the content body should be 14 pixels or more to make it easier to read on any device. Include enough white space on the page to make the content stand out. Images are an important element of your website design. However, irrelevant, overused stock photography or low quality images are distracting. Images should be used to illustrate your message so the visitor can understand the context without having to read every word of the text. Tip: Take the time to search for unique, quality images for your website or take your own. If you purchase stock photography, buy the right size and resolution to ensure the image is clear and not distorted. My opinion about using sliders on your homepage: There are folks that believe that sliders are distracting and don’t add to the design of your home page. I agree sliders are not for every business, but in some industries that are very visual, a well designed slider with relevant images and appropriate messages can be a powerful way to get your point across. Once your website has your visitor’s attention, you must tell them to do something. People don’t want to think – they want to be guided. If you leave them confused or frustrated or overwhelmed with too many choices, they will leave because it was unclear what you wanted them to do. Tip: Determine the primary goal of each web page and create your call to action to achieve that goal. Understand the buying process of your target audience and provide them the right call to action at the right stage in the process. If someone is just starting their research on a potential solution, asking them to buy is premature. However, giving them an educational piece may be just what they are looking for. A contact page is a must but don’t make your visitor search for it. Put your phone number where it is clearly visible and make it click to call for mobile visitors. I don’t expose email addresses on websites due to harvesters, but web forms can help people contact you via email without the risk. Tip: Use simple forms that are clearly targeted at what the person may want. Title the forms appropriately so people know what to use them for. Want more information? Need an estimate? These forms help people take action and make your call to action clear. According to Google research, mobile has become the dominant platform for searches, as 48% of buyers use smartphones to start searching. So if you think mobile friendly websites aren’t important, think again. Ever land on a website that hasn’t been optimized for mobile devices? Do you try to stretch the screen so you can click on the navigation and find what you are looking for or do you leave and find a website that is easier to use? Giving visitors a mobile friendly experience can be the difference between a new customer and one that never knows how your business can help them. Tip: Make sure your WordPress website is using a mobile responsive theme. Most newer WordPress themes have included responsive technology. If you have a WordPress website and it is not mobile responsive, time to switch your theme to one that is. Your website is the central focal point of your online marketing, not just a brochure that you send people to when they ask for more information. Review your website for these mistakes that prevent visitors from connecting with your brand and correct them to ensure your website works hard for your business. What website design mistakes do you see that should be added to this list? I had the pleasure of being interviewed by Susanne Morreale Leeber, the president of the Marlborough Regional Chamber of Commerce for their ongoing cable TV series called Biz Snips where we discussed Internet marketing tips for small businesses. Well, Quite a decent article. I have made many mistakes, when I just started my career. I was not aware of the fact that, i need a responsive website, so for a long period of time, I was running website just for the desktop users. Also, the navigation was not easy, but with time, I have improved my websites layout and design a lot. But still many are making similar mistakes, so this would help many of them resolve issues with their website design. All above points really affect your web site if you don’t consider it seriously. Make proper homepage that specify your business. Don’t forget to make your website responsive because google also demands that each and every page of your website must be responsive.